Creating an ASP.NET Core Markdown TagHelper and Parser (Rick Strahl) - Amazing post that shares a cool taghelper for our projects, and explains all steps to build it. Beyond The Obvious With API Vision On Cognitive Services (Víctor Moreno ) - This post is a nice and details overview of the cognitive services. Deployment Pipelines For Versioned Azure Resource Manager Template Deployments ( Peter Groenewegen) - Great post that explains all the best practices to manage healthy ARM template. Differences between Azure Functions v1 and v2 in C# (Damien Guard) - Nice overview showing the differences in the code. Secure your backups, not just your data! (Aruna Somendra) - I do most of that already...but yeah not all of it. What's YOUR backup plan? Azure vs GCP part 15: Microservices (Kenichiro Nakamura) - Interesting post that compares two microservice platforms... A must. Converting a Ghost blog to a Progressive Web App (Dean Hume) - Very interesting post that explains every step in its conversion journey. How to deploy Angular application to GitHub (Dhananjay Kumar) - Nice post to get started with Angular and Angular CLI. The world of Automatic Tuning – SQL Server 2017 | All About SQL on WordPress.com (blobeater) - I was also surprised, but yes it's true the auto tunning really works. From Windows to the Cloud (Tim Sneath) - Wow! Well... Speechless, just read it. A really amazing book packed of very interesting advice. Things that you kind of already knew, or at least had a feeling you maybe knew are clearly explained to you. 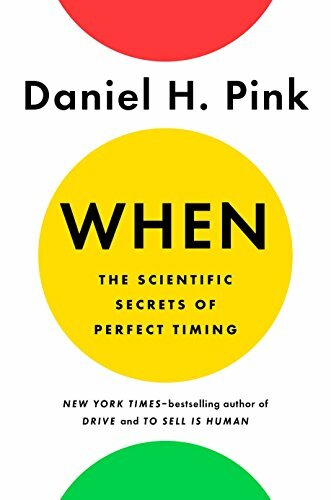 After reading (or listening) this book, you will know why, and you can decide to fight it or change the when... improve your performance and use your time and energy on something else.